When she filed her suit, Ms. Chow named Subway Franchise Restaurants of Canada, Subway Franchise Systems of Canada, Subway and Subway Restaurants as defendants. However, Subway and Subway Restaurants are merely trademarks and not legal entities that can be sued. This only left Subway Franchise Restaurants and Subway Franchise Systems as viable defendants. Unfortunately for Ms. Chow, the offending Subway visited by Ms. Chow was a franchised Subway owned by a holdings company that had been assigned the rights to use the Subway trademarks. Ms. Chow applied to add the holdings company as a defendant. The defendant applied for an order that Ms. Chow’s claim against all of the Subway entities in her claim be dismissed and that she pay costs. Mr. Justice Ball dismissed her application to the holdings company as a defendant for her failure to comply with the Supreme Court Civil Rules for adding a party to a law suit. Relying on the BC Court of Appeal’s ruling in Alexis v. Duncan, 2015 BCAA 135 which held that a plaintiff is obligated to give the new proposed defendant notice of their application to add them as a party under Supreme Court Civil Rule 6-2(7). They failed to give any notice, and Mr. Justice Ball dismissed their application to add the holdings company as a defendant. With respect to the defendants’ application for a dismissal, the defendants relied on Supreme Court Civil Rule 9-6(4), which allows a defendant to apply to court to have a plaintiff’s claim dismissed. Mr. Justice Ball reiterated that there is a high and difficult threshold to be met when asking the court to dismiss a claim under this rule. 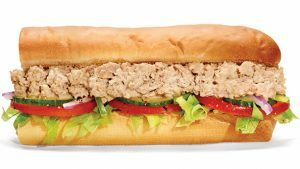 Mr. Justice Ball held that when Ms. Chow placed her order for the offending sandwich, she did so with an employee of the holdings company that operated the franchise and used the Subway logo. He held that she did not enter in a contract with the Subway defendants that she had listed in her claim and they had no connection to the particular Subway location in question. He further held that she did not sue the actual worker responsible or the holdings company as the employer of that worker. Additionally, her claim did not set out any relationship between the offending sandwich server and the defendants she named in her pleadings. Given that she had not named any defendants with an actual connection to the wrong she was alleging, Ms. Chow’s action against all the defendants was dismissed and she was ordered to pay costs. Its safe to say Ms. Chow wont “eat fresh” anytime soon.